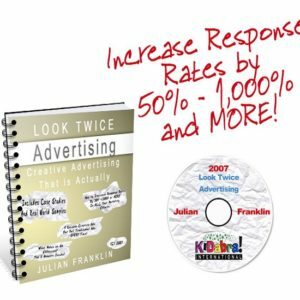 THREE TIMES A CHARM – By this 3rd edition of It Factor LIVE, we knew this marketing workshop & business building bootcamp had taken on a life & power of it’s own and was HERE TO STAY! 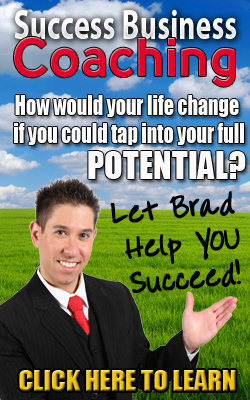 After the success of his first two It Factor LIVE events, Brad created the 3rd edition. UNLIKE ANYTHING ELSE ON THIS PLANET ASSEMBLED FOR MAGICIANS…These 3 days are captured on DVD and are TOTALLY and UTTERLY HANDS ON. 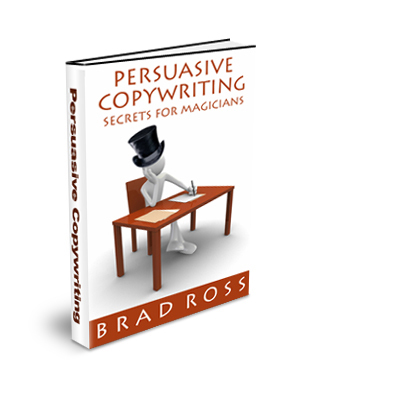 You’ll be learning the same content exactly as our 25 VIP attendees did. 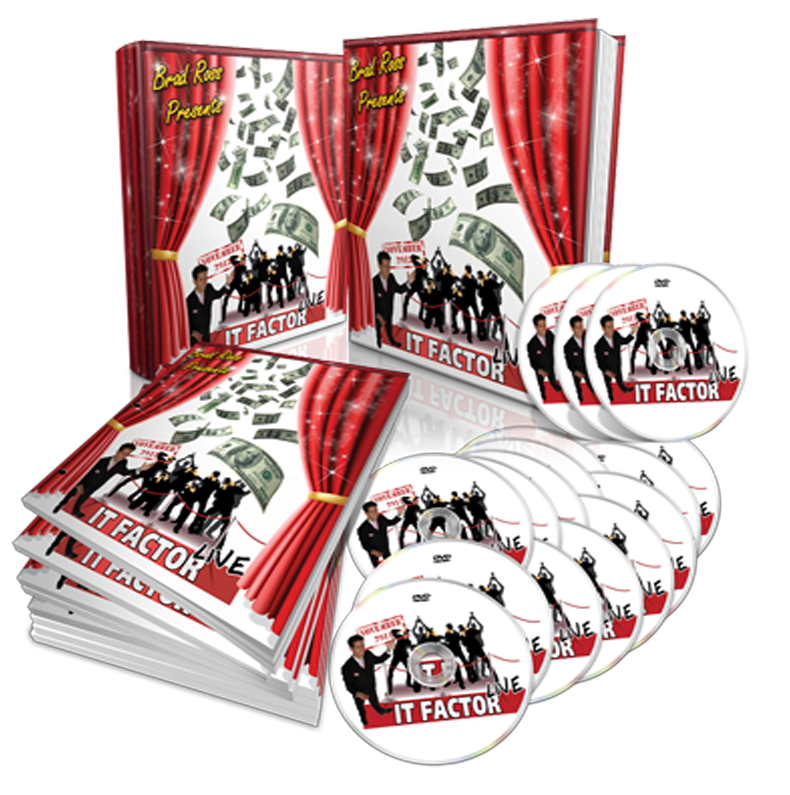 You’re going to be accomplishing what you’ve NEVER accomplished from any other DVD system… GUARANTEED! 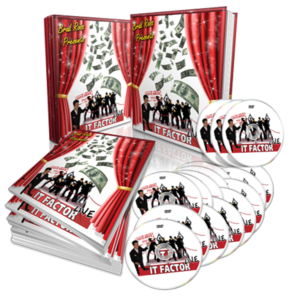 If You Missed The Ultimate Transformational Magic Marketing Event of It Factor LIVE 2013 Here’s YOUR Chance To Learn The Secrets & Strategies That Will Revolutionize YOUR BUSINESS!!! NO FLUFF – NOTHING HELD BACK!! Our team of master consultants will take you by the hand, through the magic of video and help you with your business – it’s like hiring a bunch of pros to guide you. The techniques and business building strategies our presenters share, are the same closely guarded secrets they have built their own careers on. NOW you have a chance to skip to the head of the line and eliminate all the guesswork, frustration and wasted time and dollars. Joe Romano also returns to the IFL stage in an up close & insider’s look at School Show Marketing from a REAL WORLD WORKING PRO!